We all knew it was coming: you can’t have a Royal Wedding Breakfast without scones. So, I chose to start with the obvious. And to add a curveball and make them gingery! The English might have issues with gingers, but Mrs. Beeton does not stint on candied ginger, and she definitely encourages adding dried fruit to her basic scone recipe. She also does not stint on scone directions: Mrs. Beeton devotes a whole 4-page section to the making of scones. A “light hand,” she notes, is particularly essential to good results with these baked goods. Funnily, I recently found the exact same assertion in a southern cookbook’s discussion of biscuit-making. 1. In the basic proportions are correct they can be varied in many different ways (e.g., adding cheese, treacle, or nuts). 2. It is most essential to be accurate with proportions, e.g. too much soda will ruin the scones. 3. Whereas yeast mixtures are kept warm, scones etc. made with other rising agents should be kept as cool as possible. The cold air expands with the heat and so helps to make the scones lighter. 4. The best utensil for mixing scones is a round-bladed knife; it gets well down to the bottom of the bowl and can be used for mixing without pressing on the mixture. 5. 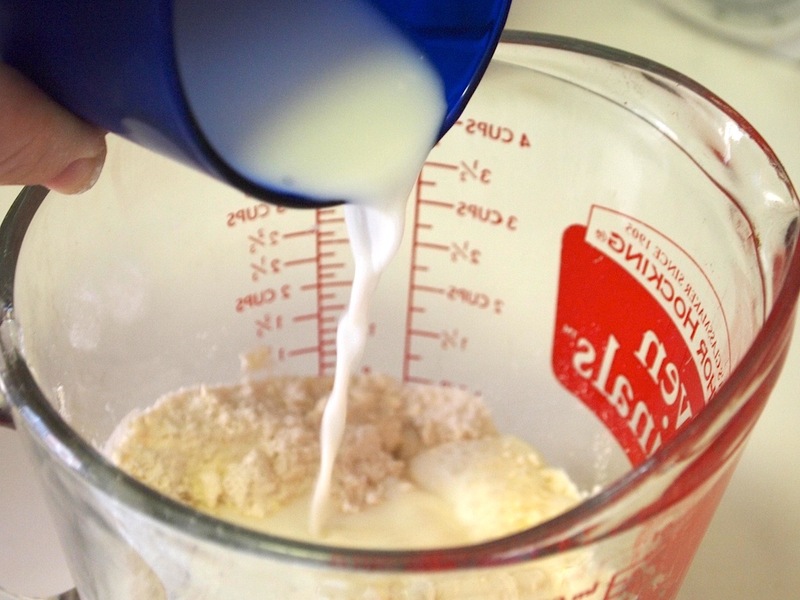 The most important rule is to add all the liquid at once and mix lightly to a spongy dough. 6. The scones should be handled as little and as lightly as possible. 7. 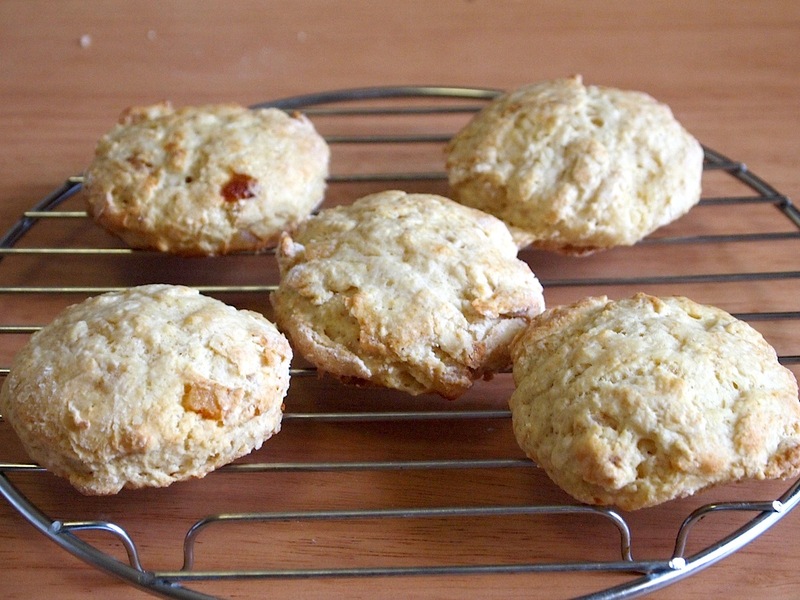 Scones should be cooked quickly – 10 minutes in a hot oven for small scones and 15 minutes for a round of 4 or 6. 8. Cool oven scones on a cooling tray to keep the outside crisp. Girdle (sic) scones are best cooled in a tea towel to keep the skin soft. 1. Preheat the oven to 450 degrees and line a baking sheet with parchment. 2. Whisk together the flour, salt, soda, and tartar. 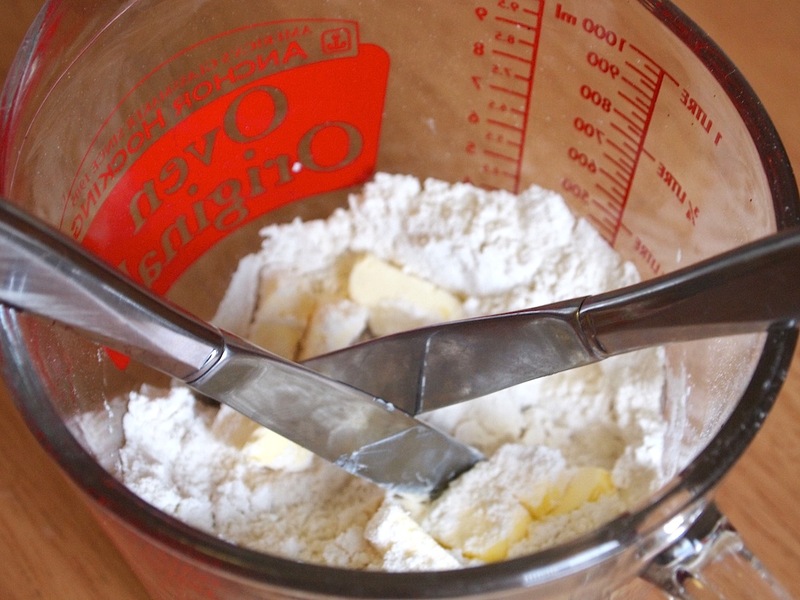 Use two knives, cutting in opposite directions, to blend the flour and butter. Do this for under a minute, then pinch the butter into the flour with your fingertips for about 30-45 seconds until it reaches a cornmeal-like texture. 3. 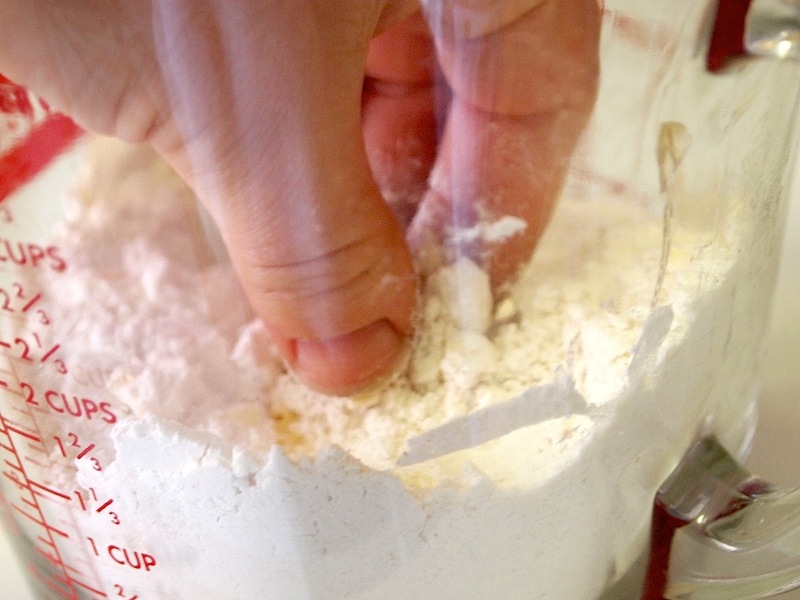 Add all the buttermilk at once and mix it into the flour lightly with your hands. 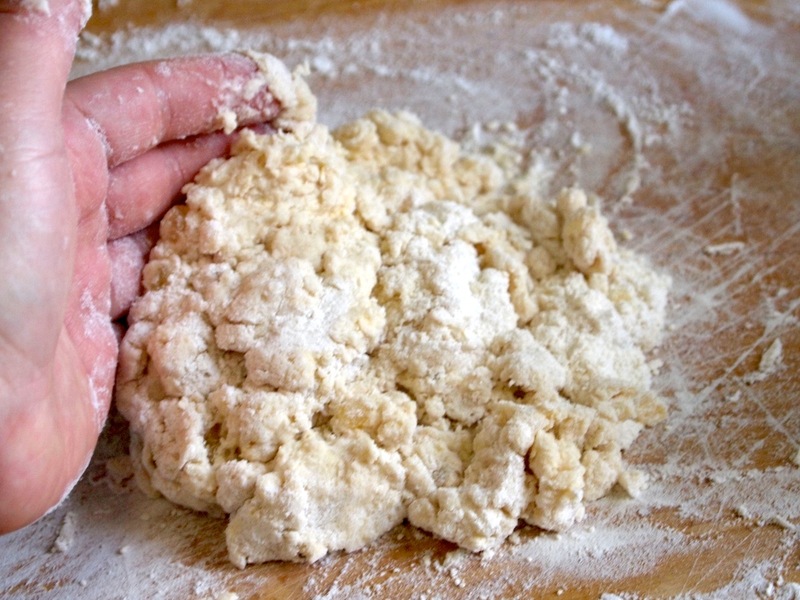 Turn the dough out onto a floured surface and knead it lightly, a couple of times only. 4. To make rounds: Pat the dough to 1/2 to 3/4-inch thickness and cut out 2 1/2-inch circles. To make wedges: Divide the dough in two and pat it into two 1/2 to 3/4-inch thick circles, then cut each circle into 6 wedges. 5. 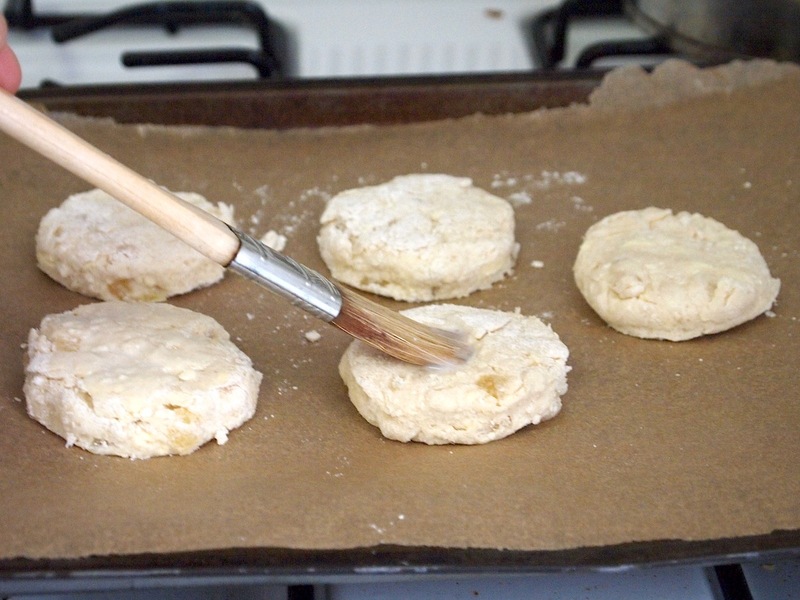 Place the scones on the prepared sheet, brush with milk or beaten egg, and bake 10 minutes, until golden brown. 6. Cool on a rack. For ginger scones: Add 1/4 cup chopped candied ginger, 2 tablespoons sugar, and 1 teaspoon ground ginger to the dry ingredients whisked together at Step 2. Candied ginger is delicious – I can happily eat it straight from the jar. Great idea to put it in scones. Those look SO good! I love your recipe! I always love your recipes. You zoom in with camera so that I can see very well. It’s very interesting for someone like me who don’t bake to watch how you bake….but I must say it’s not so fun when I can’t get any piece of cookies…. LOL. Great post Celia! Beautiful scones, totally worthy of a royal wedding! I loooove candied ginger, these would be great for an afternoon tea! Lovely! I so wish I didn’t have a ginger allergy! What a fantastic scone. It’s perfect for eating while viewing the wedding. Brilliant! And great tips for making scones. I know the first time I made them they spread into one big mass on the cookie sheet. whoops! Oooo these look fantastic!! So glad you shared this recipe, I’d love to make these myself 🙂 Loving your blog and looking forward to future posts! I have a recipe for crystallized ginger scones that I absolutely adore. Of course, I adore anything with ginger in it, so it makes sense. These look amazing and now I need some. Thanks for the tips on make them light and airy.